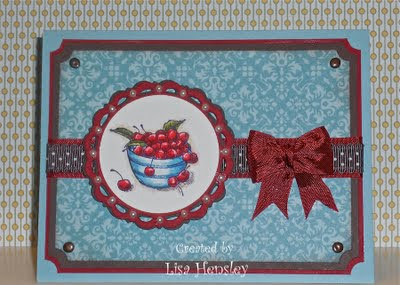 Here is another sample made with the new Cherish Friendship. I really love this set and, most especially, this image! The round scalloped frame was made using the BigZ Perfect Pennants die. Highlights are added with a white gel pen.